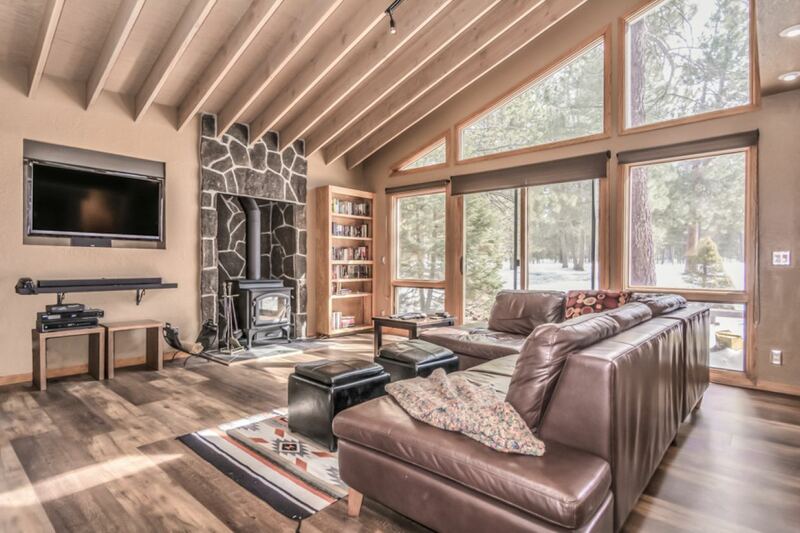 Sunriver golf course home with the master suite on the main floor. 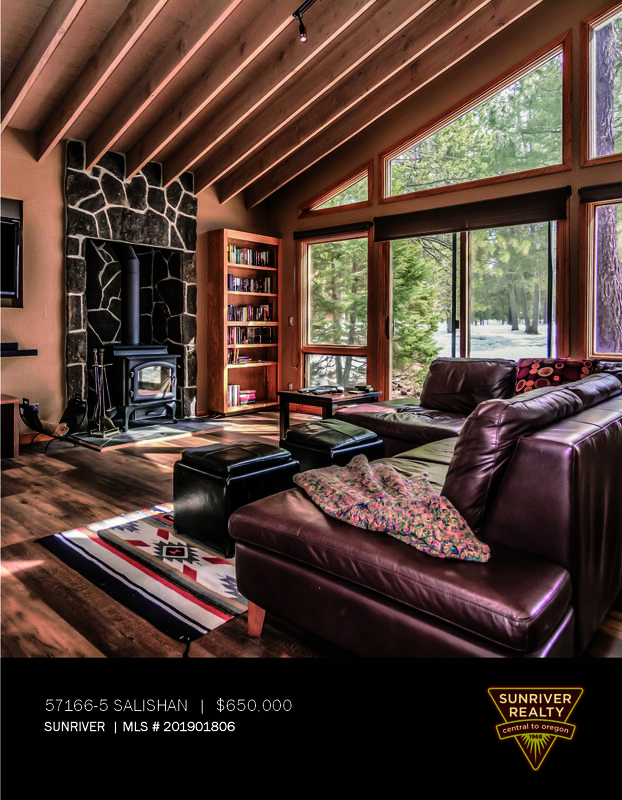 Located close to The Village, 5 Salishan Lane is tucked back away from the 12th green of the Meadows Course. 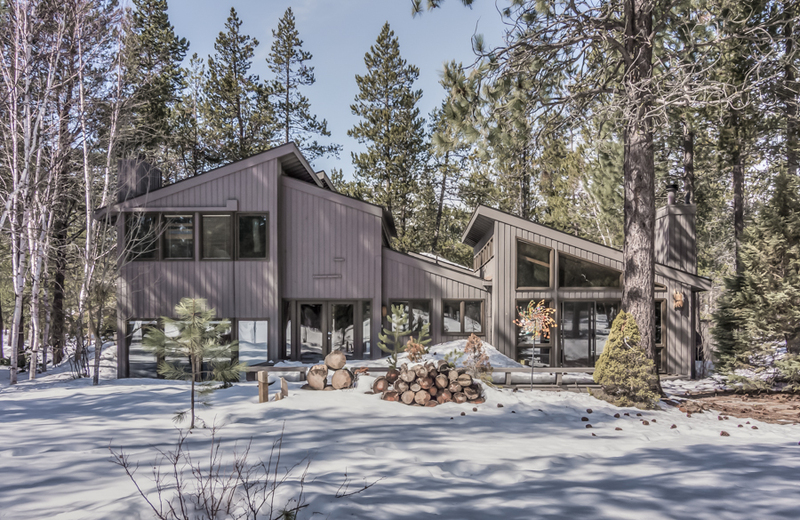 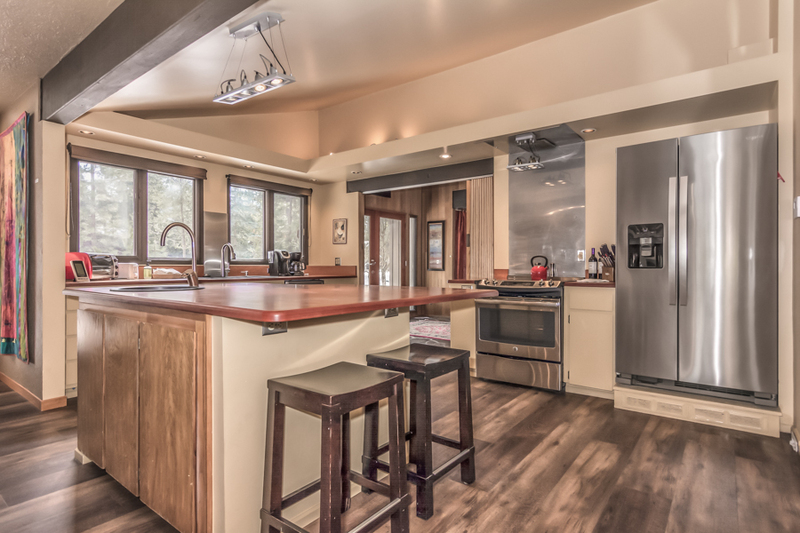 Classic Sunriver design with hints of mid-century modern. 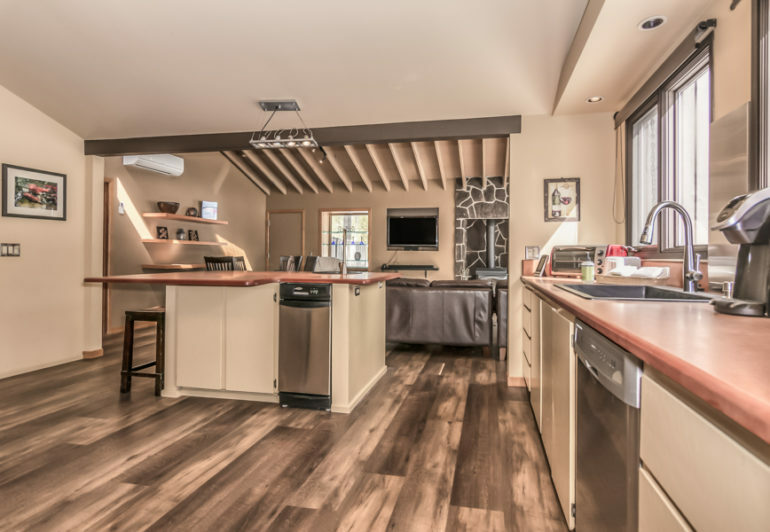 A two-story entryway welcomes you to the home along with a unique floating stairway. 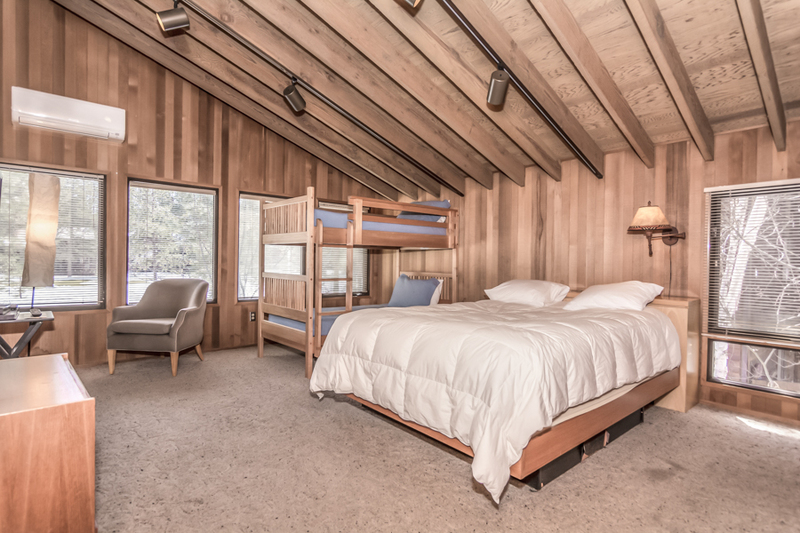 In addition to the master suite, the main floor also has comfortable kitchen/living area and media/family room areas. 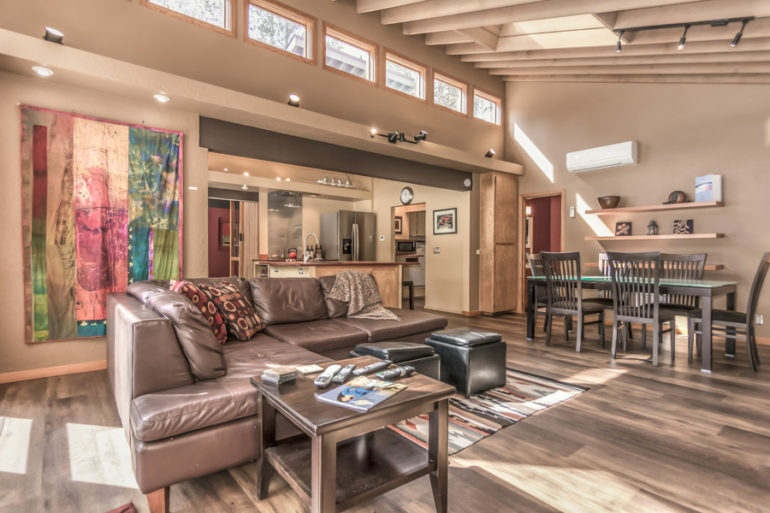 Beautiful, clear cedar interior with vaulted ceilings, exposed beams and transom windows give the home an open airy feel. 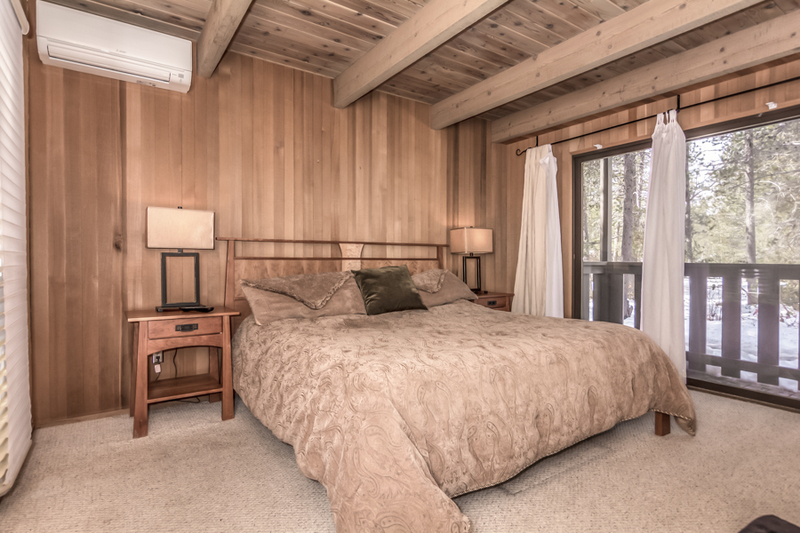 Two comfortable guest rooms and another bath upstairs assure room for everybody. 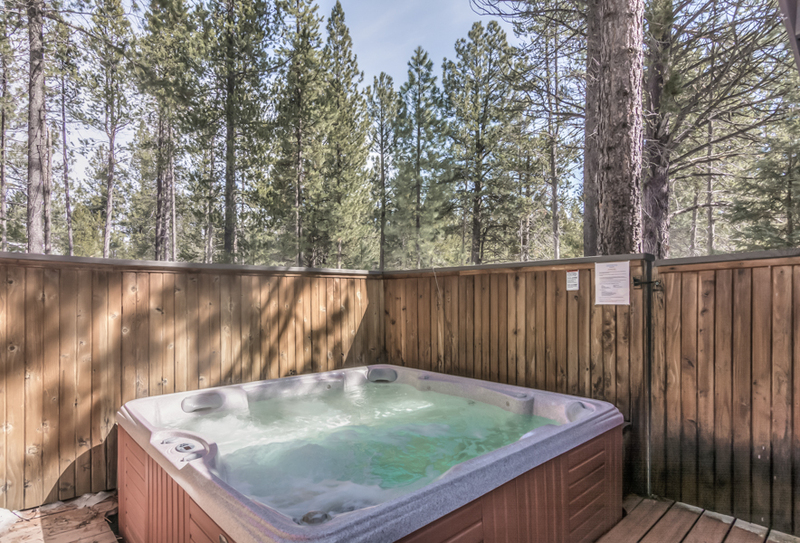 Outside, there is a deck overlooking the golf course and hot tub perfect for stargazing on high desert evenings. Welcome home!